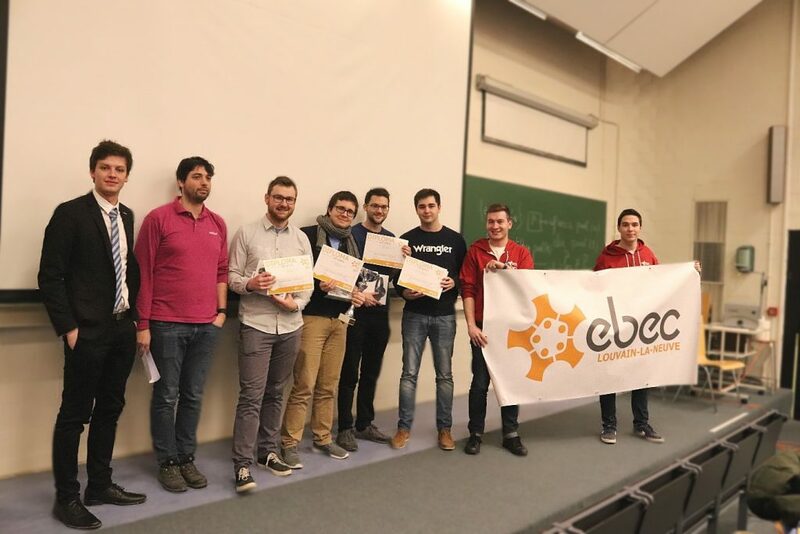 In February of this semester, took place the final round of the local competition of EBEC Challenge. Six teams from each of the two preliminary rounds participated with hope to qualify for the final step: EBEC Benelux. 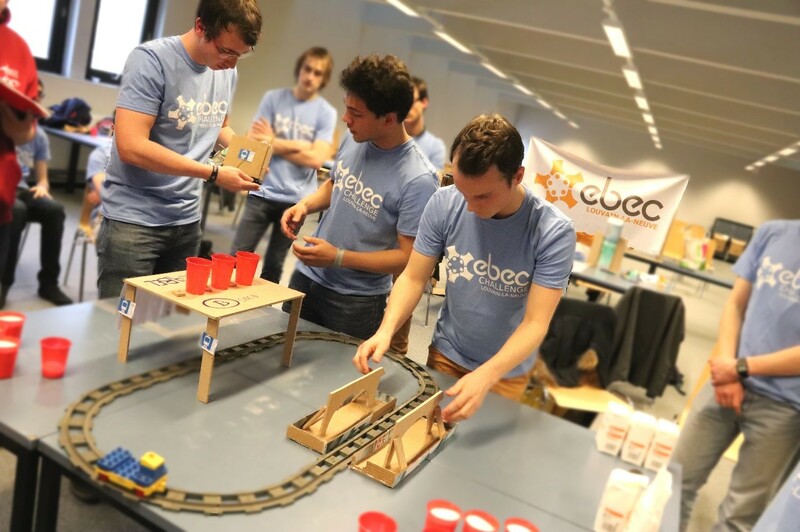 This competition was possible thanks to our partners : Odoo for the Case Study part and The Belgian Railway for the Team Design. The two competitions were held in parallel in UCL’s buildings during the whole day. Brico also provided the team design with material and equipment. The Team Design took place in the big study room of the Science building : The participants spent 6 hours designing a device able to load and unload salt on a train. It had to be composed of loading and unloading devices and a container carried by the train. The purpose of this device was to allow rapid and efficient snow removal salt delivery in case of a big snowstorm. Only very basic materials were provided, and the teams came up with very ingenious solutions. The 3 winning teams received great prices from The Belgian Rail thanks to their very ingenious solutions! The Case study was held in the St. Barbe building : Each team had to find an innovative idea to exploit in a mini-project. The objective was to imagine market composed of at least 3 actors in which their idea might be exploited. They had to think of a way to facilitate commercial activities between the actors through mock-ups of interfaces and data-structures. Odoo provided the teams with the possibility of discovering its tools to imagine ways of using Odoo in their project. Very interesting concepts were presented by the different teams and the winners were not easy to choose! 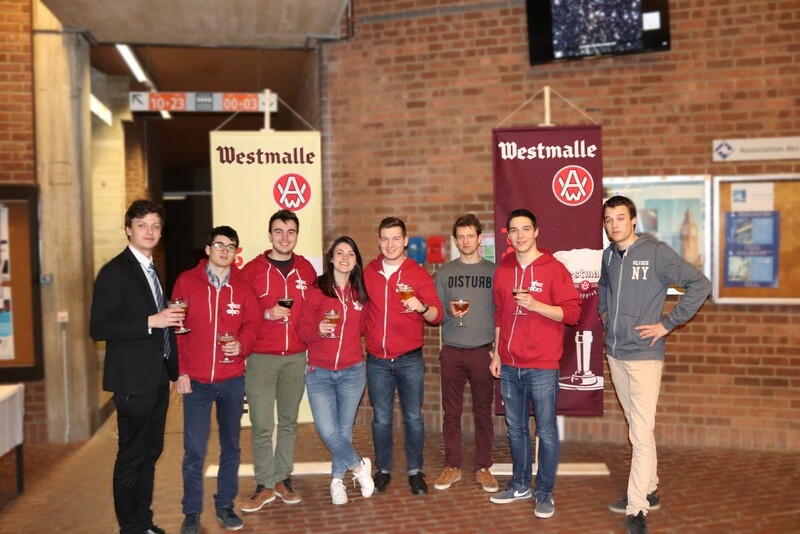 This day of competition ended with the traditional drink in partnership with Westmalle’s Abbey who shipped us a generous sample of their products. 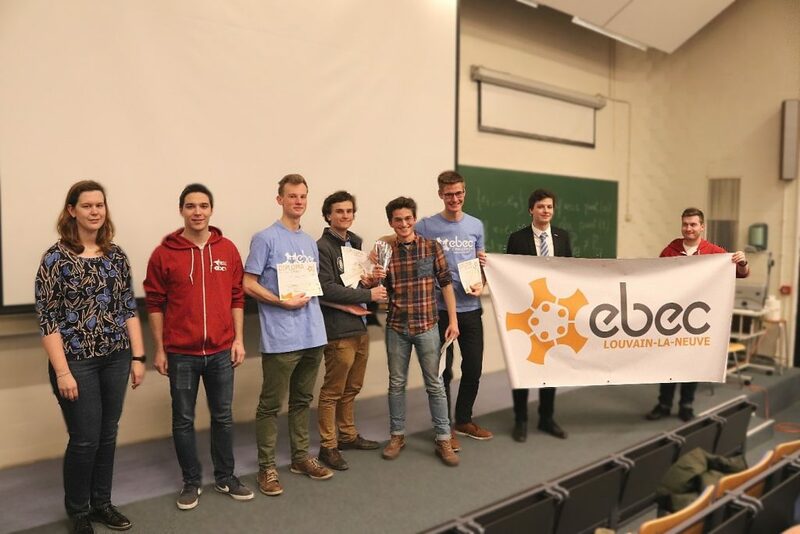 This is how ended the first 3 round EBEC of BEST Louvain-la-Neuve. Special thanks go to our partners: Ciseo, Babelway, Automatic Systems, Google, Odoo, The Belgian Railway, Brico and Westmalle’s Abbey. Thanks to the teachers who helped us to choose the winners. I also thank Michel Henry and Romain Antoine for the organisation of the 2 preliminary rounds along with all the members of BEST who helped the project with their determined work and presence. Finally, a big thank to all the participants who gave their time and energy to amaze us.